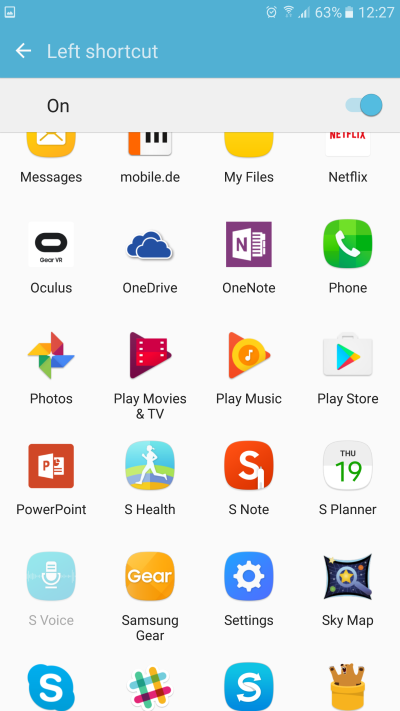 For those of you looking to give their Galaxy S7 or Galaxy S7 edge a unique look, adapting the phone’s lock screen to your own tastes and requirements is unavoidable. 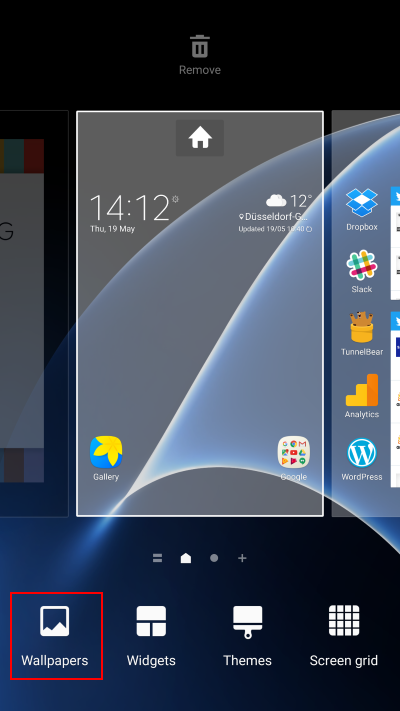 But Samsung’s own lock screen replacement app Good Lock really is a bridge too far for many. Luckily, there are plenty of options available without going that route. 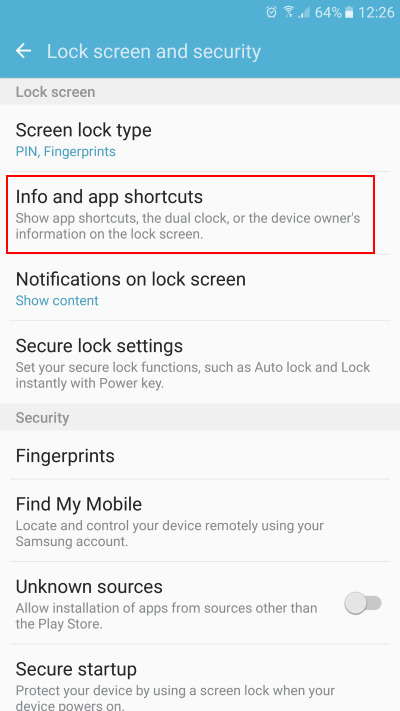 And yes, you would be right in pointing out that all of this works pretty much the same on all recent Galaxy phones, so if you don’t rock an S7, you’re still set to make the most of your lock screen with these nifty tips. 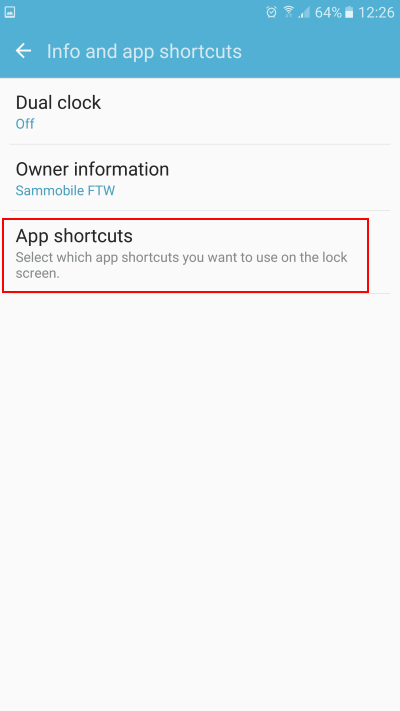 The first thing to do is change the default shortcuts found on the Galaxy S7’s lock screen. After all, the dialer isn’t that important to many, and the camera shortcut is entirely obsolete if you use the home key double tap trick. 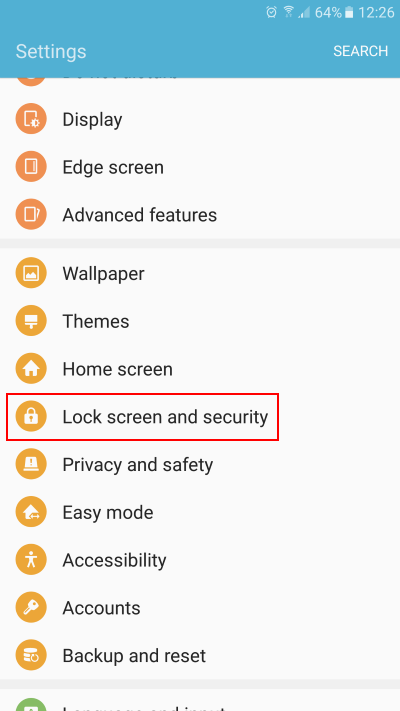 So, head into Settings, and find the Lock screen and security menu. Next, tap Info and app shortcuts, followed by App shortcuts. 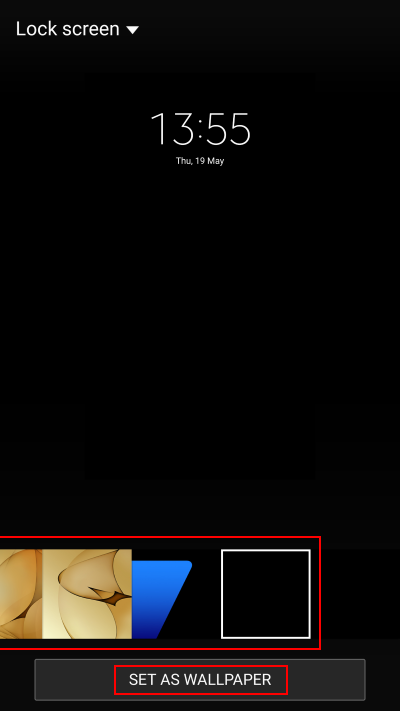 Now, you can pick new apps for both the left and right shortcut at the bottom of the lock screen. 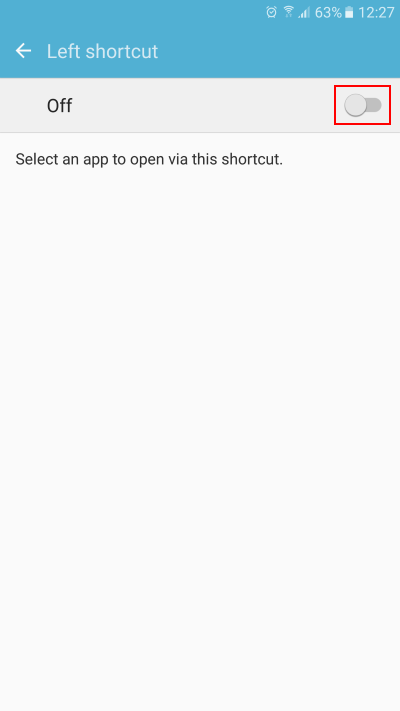 Note that you can also choose to completely disable these shortcuts, creating a more minimalist lock screen experience with less clutter. In that same Info and apps shortcuts menu, you’ll see the Owner information option. Tap that to enter your own custom text, which will be shown on your lock screen. Being creative here is key, as simply displaying owner information is, frankly, a bit boring. We’ve found that, sometimes, using this field to display reminders can be quite useful, but we won’t stop you from setting your phone to greet you with a tasteful ‘Welcome, master’. 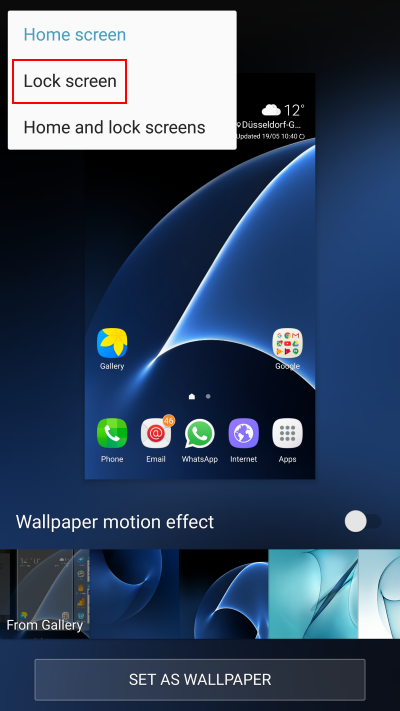 As you know, or not, the Galaxy S7 (like other Android devices) gives you the option to set a different wallpaper for the lock screen and home screen. Many themes do this, and there’s no reason you shouldn’t experiment with this option as well. 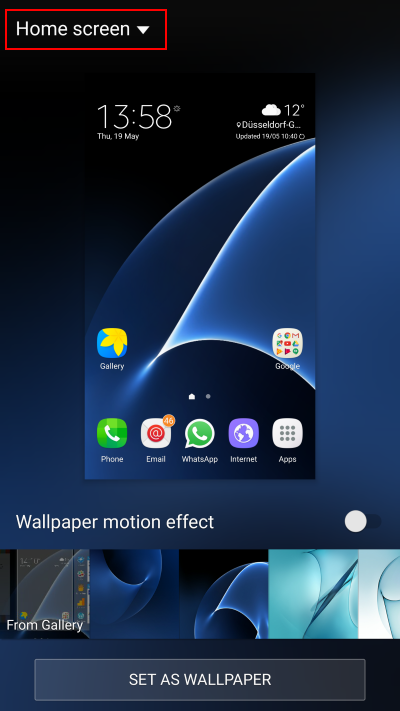 Consider setting an all-black wallpaper, for example, to minimize energy use if you are one of those users who often check the phone for messages or missed calls by quickly turning it on to view the lock screen. Better yet, remove all shortcuts and text, and set a black wallpaper to create what is essentially the simplest, most energy-efficient lock screen thinkable. The point of all of this, of course, is to start your creative juices flowing because, obviously, customization is all about what you want for your phone. Nevertheless, we’d be happy if you share some of your lock screen ideas and optimizations in the comments below. Which shortcuts do you prefer? How do you use the owner information text? Last but not least: don’t forget to check our other Galaxy S7 tips and tricks. Love the phone got it for Xmas from girlfriend. I like everything about the phone.samsung have done a really good job with the phone. Nice looking phone. Love it.? I wish they had left the weather on the lock screen. What happened to “Live Weather” wallpaper for lock screen on S7 Edge? That’s what I like on my lock screen!